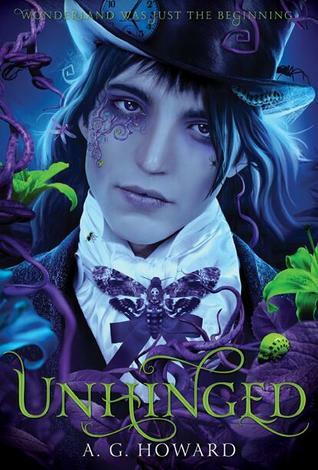 recommended for: Fans of The Hunger Games by Suzanne Collins, the TV show Dark Angel, and kickass heroes. Violence included. Yes, I finally did it. Just in time for the movie! So, did it live up to the hype? Mostly. 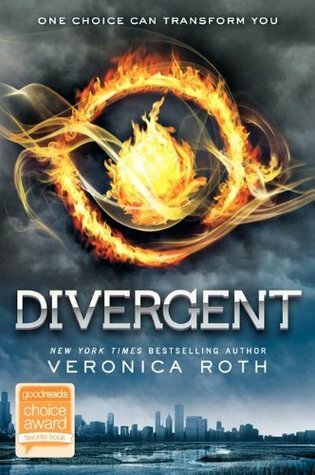 Divergent is a fun, thrilling adventure that's as much about personal empowerment and success as it is dystopia, freedom, and politics. The romance is cute and believable and doesn't overshadow the story, the characters are well fleshed out, and the plot manages to race despite the nearly 500 pages of material. Tris was an acquired taste for me. I liked her, then hated her, then liked-hated her, then grew to respect and care about her. She's flawed in real ways that most authors shy from; I applaud Roth's bravery. Same goes for all her characters, really. There are no cookie cutter heroes and villains here. What I took issue with most was the world-building. I liked the idea of these little Communistic homogeneous factions, but the whole idea of Divergence struck me as vague and illogical--which made some of the plot difficult to buy, for me. I don't know if it's at insta-re-read level for me. But I will read the sequels and, I'm sure, enjoy them immensely. The plot throughout is pretty solid, with a few notable exceptions. You're thrust right into Tris' judgment day, aka will she stay with her family's faction or follow her heart. Dun dun dun. Then the mystery of Divergence is revealed. We know little about it, only that it's dangerous and feared. Then Divergence becomes a background issue--a mistake, I think. We don't find out until well into the book that anyone is even particularly concerned about rooting out Divergents. So my head was going, "Why do I care?" What I did care about was Tris' initiation. Her faction is ruthless and demanding, requiring her to push her limits and toe the lie between strength and cruelty. Despite her small size, Tris surprises everyone, including me. I was a little confused about the timeline here; is Tris really that toned and gun-savvy after what seems to be a week of training? Maybe I'm missing something. Suspend disbelief, and you have a cool series of challenges that's partly about watching Tris be clever and partly about watching her navigate terror, guilt, and increasingly complicated social interactions. Her friends become an important part of her life, although I wish Four didn't overshadow them so much later on. I also wish there'd been a little more foreshadowing for what was a pretty epic final showdown. Don't forget a stunning amount of violence. Roth doesn't shy away from depicting her world in all its bloody horror. We leave Tris after the battle, at a natural transition point that managed to feel both satisfying and intriguing. While Roth could have done a better job of integrating the Divergence problem into her otherwise awesome plot, it was awesome. And not just a Hunger Games clone--ya hear that, tabloids? Good: Dystopian world with creepy little Communistic factions that demand sameness from their members and coexist in a tenuous alliance poised to explode. Bad: What the hell is Divergence? They're not unrelated. Roth's Chicago is a colony of clones devoted to five different life paths. Choose a faction and you're choosing to accept its ideals and mold yourself to its principles, down to what you wear and every word you speak. That's a pretty cool concept. But Divergence? It's basically explained as not being categorizable. Not being easily controlled. ... So. Divergence means you're human? I mean, I really don't get it. What comes across clearly to me in Tris' interactions with her friends is that no one fits any of the boxes perfectly. They must choose one and forsake the others, but that doesn't stop them from being complex individuals. So I don't really buy this Divergence stuff. Also, logistically, is Chicago the only place left in the States? How many people live there? Tris' initiate class has about 20. That's 20 brand-new sixteen-year-olds, times five factions. So we're talking about a population of four million decimated to thousands. What happened!? I actually hated Tris for a while. She can be cold, pitiless, and arrogant. It was really her statement that she could never be attracted to Al because he's "weak" and "fragile" that threw me. As I got to know her more, I came to care more about her. She is cold and even cruel, but she's also just as often compassionate and self-sacrificing. Her cleverness and bravery is not only admirable, but gives her strength and lets her move the plot on her own, make her own choices, and save herself. She's flawed and human. Although I was really annoyed with her for forsaking her friends. Then there's Four, adorable four, who's just as cold and pitiless but also softer, and wickedly snarky in a clueless kind of way. Their relationship just fits. (Although, can we stop throwing the 'L' word around on day 3, people?) For the side characters, my favorite was Christina. I wish she hadn't exited stage left when Tris became Four-crazy. She's spunky, badass, and has a little bit of vulnerability. I would have liked to see more of a girlpower duo with her and Tris. Love Will, love Uriah, love Caleb. They're witty, lighthearted foils to the grittier girls. Let's hope we see more of them in Insurgent! I can complain a bunch about the worldbuilding, but there's no complaining about Roth's writing. For writing this before she finished college (yes, I'm insanely jealous), she's polished in a way that I don't see from many older, more seasoned writers. She's got Tris' voice down to a science. It flows easily, feels natural, has a teenaged insecurity and a more mature edge. What I hated? Stop repeating the word "Divergent" every five seconds and let us come to our own conclusions instead of giving the answer. There were numerous places where this happened and I just wanted to say, "Duh." But overall, Roth is a master of spinning a scene, heightening tension, and smacking you in the face with a well-played metaphor. It's difficult to capture a reader for 487 pages. Roth's sense of pacing is spot on. I never felt bored and there were times I actually had to cover up the next page so I wouldn't eagerly read ahead (rankings time, much?). The combination of pacing, character, and writing was enough to endear this book to me despite all my complaints about it. There's no doubting this woman has talent. This series won't be her last. Divergent makes up for some shaky worldbuilding with strong characters, a thrilling plot, and a polished voice of its own.